Join our growing list of commercial advertisers in The Queensland Buy and Sell. Our monthly trader magazine is available as a paid publication at more than 1000 locations across Queensland. 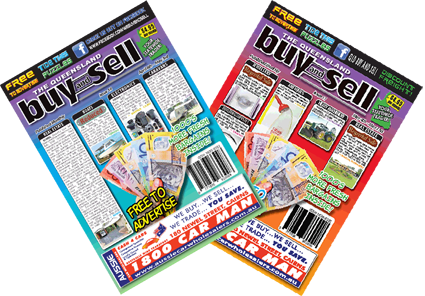 You can advertise in our magazine knowing those buying Buy and Sell are "in the market" and ready to buy or sell. We will strategically place your ad to ensure customers looking for your product will find it within our extensive sales category list. The commercial advertising rates are inexpensive compared to many forms of advertising and coupled with advertising on our smart device app, Buy and Sell Live, you can rest assured that your message is being pumped out to a wide demographic.